You are true of heart!" I will have that moustache by the afternoon tomorrow. don't do it… don't shave… you stache rocks!!!! See that 'tache in May? Bonus points for Dave Eggers quotes....Now, how do I add bonus points on this thing. Great moustachio. It's one of the best byproducts of the beard deconstruction. I have thoroughly enjoyed following your excellent photos for the last four months and watching that moustache come to life. I hope to see it again in about 2 months. It's been a true pleasure. Although it's hard to see the beard go, your moustache is so amazing, it is a worthwhile tradeoff.! Thanks for sharing it (and the beard). I will probably sport a mustache of some sort for the next week. Will we see the moustache in May? I loved all of your shots. Hopefully our paths will cross in real life soon. it's been a pleasure. you are amazing. @jracecar your tash needs to get its own tv show lol!! possibly featuring your dog too! haha you could have a whiskerino gameshow with a huge beard game puzzle thing =) & you could create sports shoes with jnon while the contestants get their knuckles tattoed! that would be awesome!! lol. I hope you keep the tash and beard dude!! peace be with you!! That stache is meant for May. It's been a blast to do this with you - you've played it with such heart. Good luck with the terrier - they are handful but are so worth it! Rocking the 'stache is no small feat. Best of luck to you. It's been real. Bring that stache! See you in May? though I can only see your moustache, I'm glad you made it to the end. You've had some awesome shots. I think the one from feb 6th was my favorite. Hope the rest of your year is wonderful and hopefully I'll see you in May. It was great sharing with you, now we will have to share some beers and talk about the good ole days. My image has all my contact info on it. And of course I have to say amazing stache as usual, but you knew that. 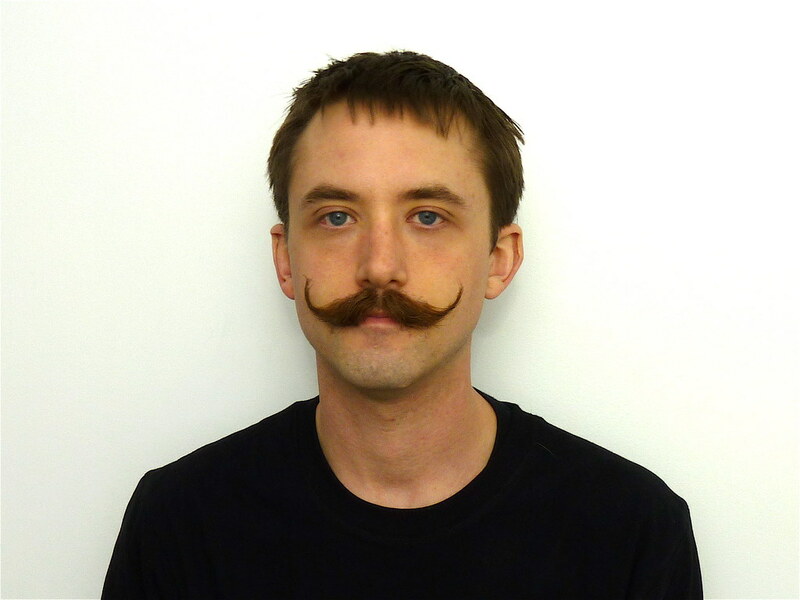 Epic mustache. See you in May. See you in May? I hope so. Thanks for the comments and take care! thanks for being here and for your participation. it has been a pleasure. take care and be well.